We are proudly Australian owned and operated servicing clients both at home and across the globe. Our team been conducting 360 Degree Feedback, Engagement Surveys, Leadership Development and Training programs for over 15 years and we’ve learnt a lot in that time. We have taken this knowledge to continually improve our service and product delivery to ensure our clients get the results they need. Our web based feedback system has been designed and developed by our team and is located at our security monitored datacentre. Privacy means a lot to us and we ensure that the latest applications are in place to keep our clients information protected. At Full Circle Feedback we believe that when delivered correctly feedback can produce powerful results. We implement our 4 step process so that we can deliver our clients expected outcomes for their feedback project or development programs. Our process and delivery flexibility is a key feature of our company so let us know how we can help meet your needs. Noel is our team’s leading coach and facilitator. 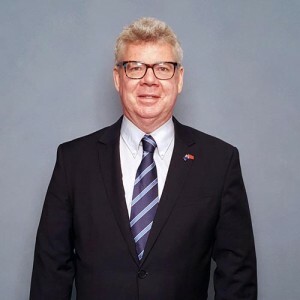 He is much sought after to develop and deliver feedback, leadership and coaching programs to senior leaders and organisations across the globe. 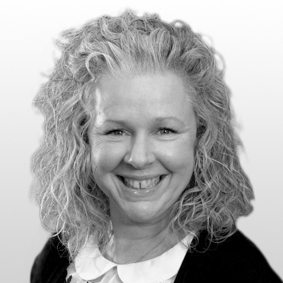 Fiona is our senior leader for the administration and delivery of our projects. 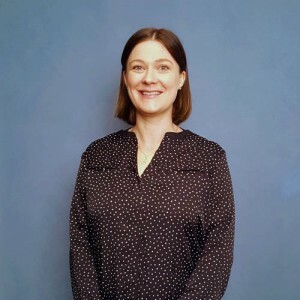 She draws on the management positions she has held across Australia to optimise our process to ensure our clients get the assistance and flexibility they require. Nikki is number one when it comes to helping our clients run their project successfully and stress free. Nikki’s excellent customer services skills originate from her hospitality background and grew as she branched out into the corporate world. Bill is a leadership improvement author, educator, coach and consultant. 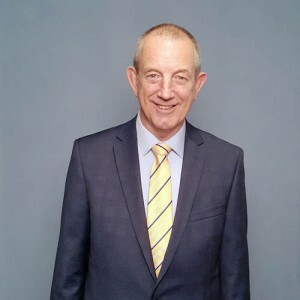 With over 25 years of experience helping leaders and organisations Bill leads the team on how we can best help our clients archive their desirable outcomes. 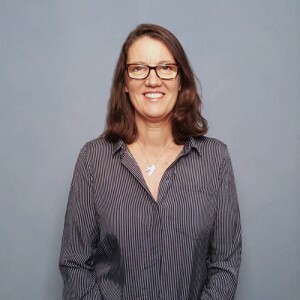 Tracy is an experienced consultant, coach and facilitator in helping people to lead, manage and communicate more effectively in the workplace. Her expertise and experience comes from a corporate background working in Sales and Marketing, Business Management and People Performance across a number of industries and clients. 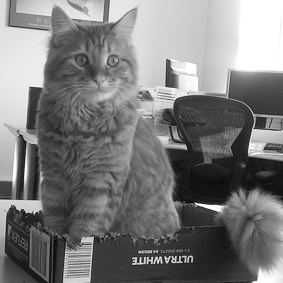 Otis brings his effective ‘in the box, out of the box’ thinking to the office. Although he may not always be a team player he is sure to lend a paw when food is involved. Full Circle Feedback has a wealth of experience conducting feedback projects around the world – 360 degree feedback, employee surveys and organisational surveys. Feedback gives your organisation, leaders and staff focus and direction! Individuals, teams and organisations need feedback to improve performance. Whatever your feedback, survey or leadership development needs, we have the right solution. Feedback Experts – The help you need for success! In our experience most organisations need help with the effective and consistent tracking of their performance. The ultimate organisational survey tool, Full Circle Feedback is the ideal way to help organisations and individuals achieve the performance standards needed for success. Full Circle Feedback takes the ‘guesswork’ out of planning by helping to identify and action areas that need improvement so your organisation can go where you want it to go. Full Circle Feedback also has a unique performance tracking facility. Changes and improvement can be measured and monitored over time. This is extremely valuable for ongoing performance management. The focus is on creating lasting change. Our expert team, combined with our proprietary and easily customised process, will ensure you get the organisational feedback and skills you need for success. We believe in being experts in our field, having the best process and delivering the best service. Our approach is very flexible and can be easily customised to meet client needs and budgets. Choose our consulting support and Client Service Team or let us help you to manage aspects yourself. Feedback, surveys and leadership development are our core business. We have a wealth of experience conducting 360 degree feedback and employee survey projects for hundreds of organisations around the world. Whatever your feedback or survey needs we have the right solution. – Our service is first class. Just ask our clients! Full Circle Feedback has conducted 360 degree feedback and employee surveys across every major sector and industry. We have found that there are considerable differences in the cultures and leadership approaches that are most effective in each sector and industry. This means that the customisation and tailoring of 360 degree feedback and employee surveys is critical to receiving valid, practical and actionable feedback. In the volunteer, non-profit and charity sector our clients come from global, national and locally based organisations. These include Save the Children, the Red Cross, YMCA, Royal Flying Doctor Service, St.Vincents Hospitals and many additional organisations. We also serve a number of Industry Bodies and Professional Associations. We have an extensive database consisting of over 250,000 individual feedback reports that provide relevant benchmarks for helping your organisation and your leaders understand how you are positioned and to identify achievable improvements. In addition, we have a number of industry specific surveys that can be quickly implemented. Building employee engagement is one of the fastest ways of increasing employee performance and organisational productivity. Our Engagement Strategy Reports allow leaders and organisations to quickly determine what initiatives and activities will generate sustainable performance improvement. At Full Circle Feedback (FCF) we know that you care about how the information we collect from you is used and shared. When we collect your personal feedback information you can be assured it is stored securely. Who are Full Circle Feedback? We are an Australian company servicing clients across the globe. We provide 360 Degree Feedback, Employee Surveys, Organisational Surveys and Leadership Development services via our online software system. Our software system is stored on our professionally maintained and protected servers that are located at our secure data centre. How do we use and store information? We collect data from agreed participants. The participants are invited, via email, to complete an online survey. The information received is stored by unique code on our protected servers located at our secure data centre. Once the surveys have been completed by the participants our Client Services team will produce reports based on our client’s requirements. At the beginning of the project it is agreed how and where these reports will be delivered. When the project is complete the information is then archived and can only be assessed by our client’s authority representative. We collect your name, your email address, the name of your Manager and your Raters. We may collect other demographic information such as your department, business or geographic area if requested by the client. Information from your self evaluation is also collected. We collect your name, your email address and the ratings you provide for the selected Subject in relation to their competencies, skills, development needs or performance and any free text information provided. Your name is only used to identify who has responded to a request for feedback, not to show the answers you give. Feedback reports show answers by respondent group, e.g. peer, manager, direct report, not by name. We require a minimum number of raters per respondent group to maintain confidentiality of responses. Full Circle Feedback (FCF) software systems and report production process are managed by the dedicated and expert Client Services team under direct supervision of the Full Circle Feedback Director. All staff are trained extensively in the FCF security and confidentiality processes. Access to the FCF software systems requires a multiple secure login process and authorisation. Full Circle Feedback databases and website are stored on servers we own and located at a secure data centre. We maintain strict enterprise data centre security protocols and data protection systems. Interrogation of the FCF database requires both secure access to, and specialised ability to use, the proprietary FCF software. Full Circle Feedback will not share, distribute or sell any personal information to any third party. Our disaster recovery policy ensures that if disaster strikes they will be able to keep the Full Circle Feedback 360 degree feedback software systems running and rapidly recover data. This service is based around enterprise grade data centre facilities which provides fully redundant power and internet connectivity. Along with providing the infrastructure, our IT partners assist FCF in maintaining a recovery plan that covers the steps and actions required once a disaster strikes. FCF databases are backed up at 15-minute intervals 24 x 7 and securely replicated at secondary sites. “Mark, you and your team have been instrumental in supporting our goal in developing a means to measure our Employee Engagement. The level of professionalism, understanding of our needs, quality of work and responsiveness demonstrated by you and your team has been exceptional. “I would like to reflect on the outstanding work you have done with me as a report to the Vice Chancellor over three cycles of 360 degree feedback through Full Circle. The process has been particularly insightful for me and I know welcomed by the Vice Chancellor. Your candid understanding of the complexities of the University, its desire for change and how these interact in my large Faculty were strengths you brought to this task for effecting positive change. My recent engagement of you and your team to conduct a similar 360 of my Heads of Schools and Faculty General Manager is testament to your leadership and conduct of this process.